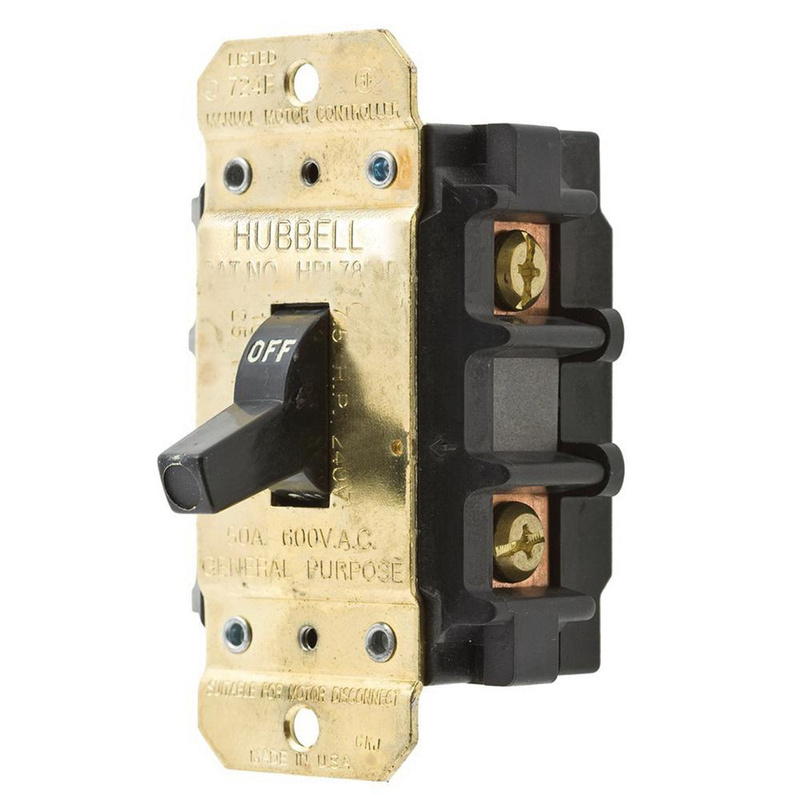 Hubbell-Wiring Circuit-Lock® AC manual motor controller works as disconnect and enclosures for either box or panel-mount installation. It has voltage rating of 600-Volt AC and current rating of 50-Amps. This 2-Pole, 1-Phase controller comes with screw connection. It is made of thermoset material and is perfect for industrial applications. Controller features power rating of 2 hp at 120-Volt AC, 5 hp at 240-Volt AC, 10 hp at 480-Volt AC, 15 hp at 600-Volt AC. It has a dielectric voltage of 2200-Volt AC and 10000 minimum cycles. Controller is UL listed and CSA certified.